Morocco, Marrakesh. Walking from Majorelle Jardin is these pillars just outside the medina walls. Each pillar is topped with an olive tree. 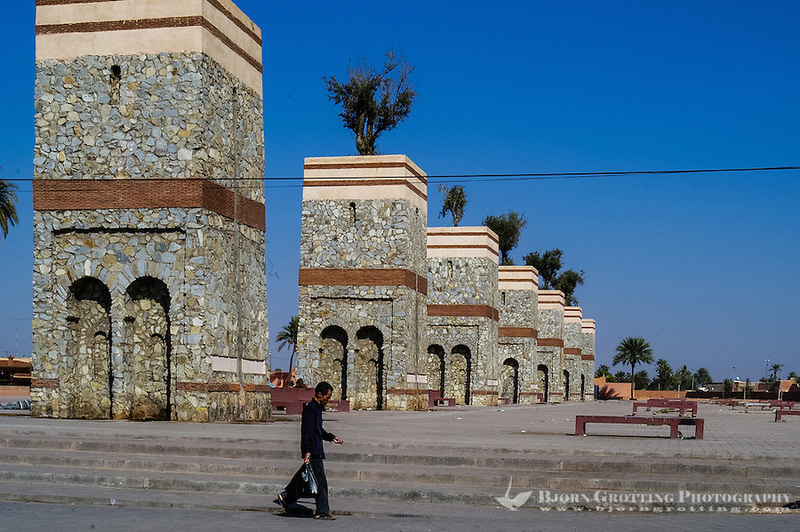 They're collectively called the Seven Saints of Marrakech.